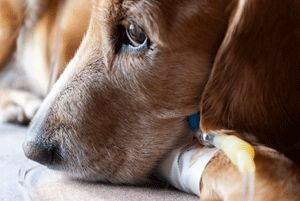 Blood and plasma transfusions for pets can be a life-saving solution during your pet’s medical emergency or illness. At Charlotte Animal Hospital our professional staff are professionally trained to perform blood and plasma transfusions, while ensuring top-notch care for your pet and thorough procedure. Our animal hospital in Port Charlotte, Florida is equipped with in-house hematology machines, blood chemistry machines and electrolytes, which give us the ability to respond to your pet’s health needs quickly and efficiently. We also understand that your pet may have special blood conditions like anemia, infections or severe wounds, and we tailor each of our blood and plasma treatments according to your pet’s individual needs. If your pet is in need of blood or plasma transfusions contact us at Charlotte Animal Hospital. We are proud to be one of the premier veterinary hospitals offering blood and plasma transfusion for pets in Port Charlotte, Florida.